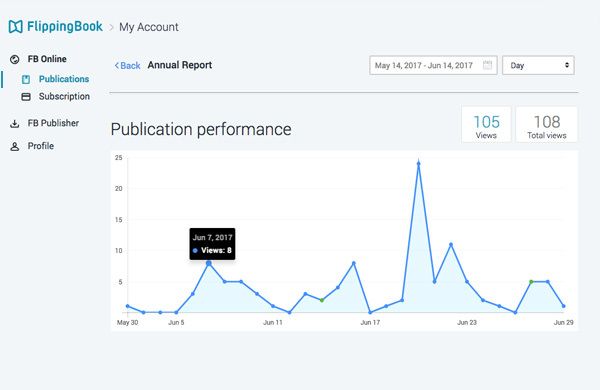 FlippingBook Online is an online publishing tool that turns your PDF file into a powerful HTML5 document. Your document opens anywhere with ease and its neat, professional look makes your visitors pay attention. Collect visitors’ emails and names with a native lead capture form. Get tangible data about who uses your documents and how. 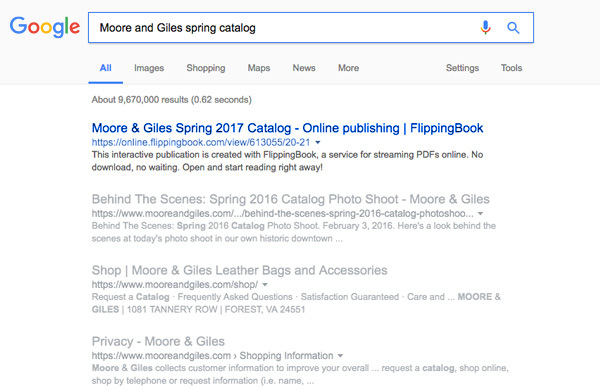 Documents hosted with us consistently reach high positions in Google searches. PDFs typically open on a dull grey background, giving your document a raw and unprofessional feel. FlippingBook documents can be customized to fit the branding of your choice from top to bottom. 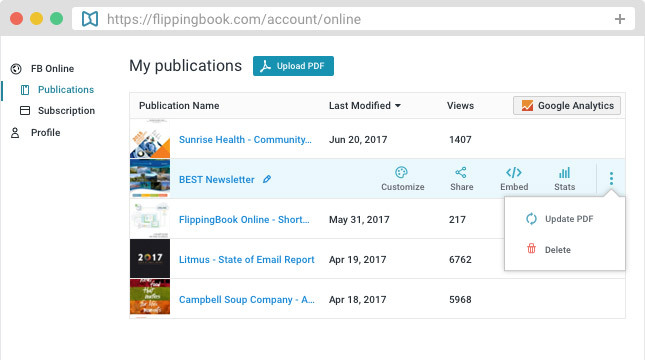 FlippingBook hosts your online documents for you in one convenient place. Any time you need to share your catalog or brochure, simply send the link. Forget about heavy email attachments—send documents with one click. 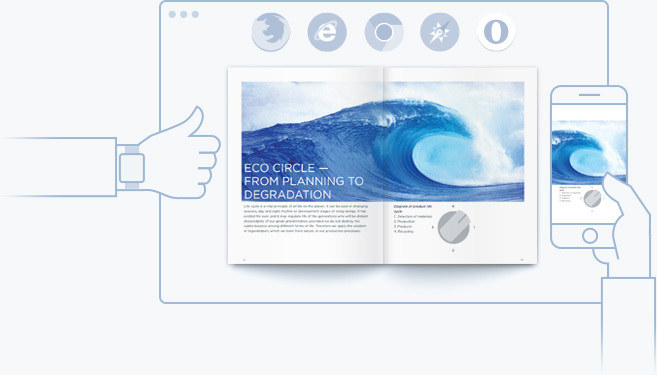 Show documents in the context of your website: beautiful and eye-catching. Point people to important info first by sending a specific document page.